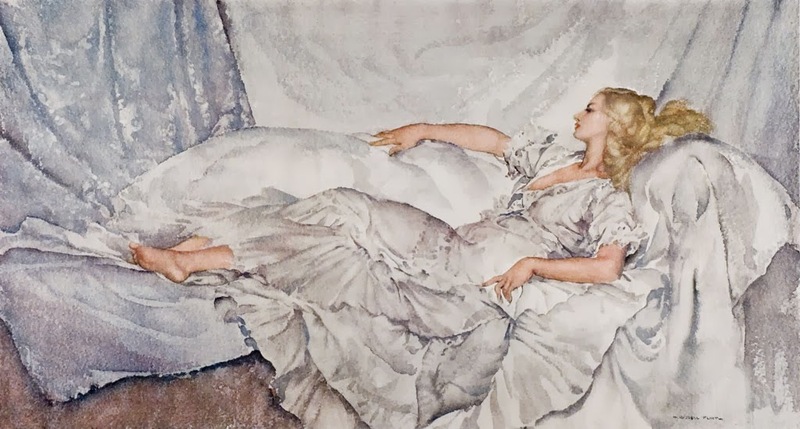 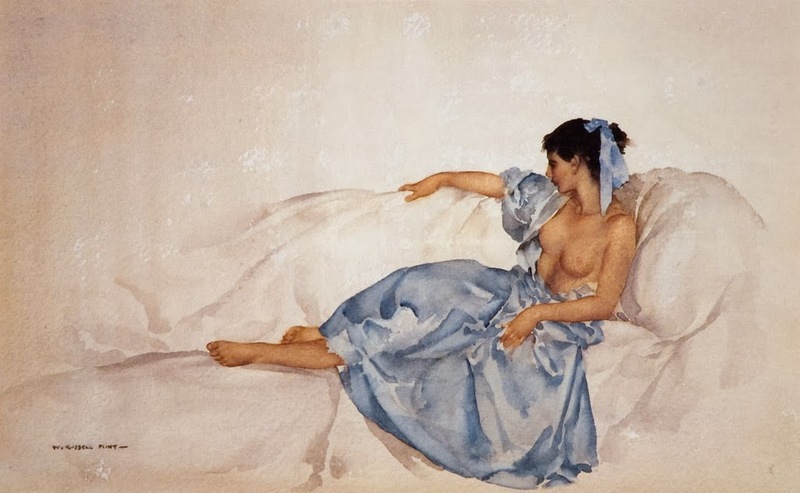 British painter and illustrator Sir William Russell Flint (1880-1969) was known especially for his watercolour paintings of women. 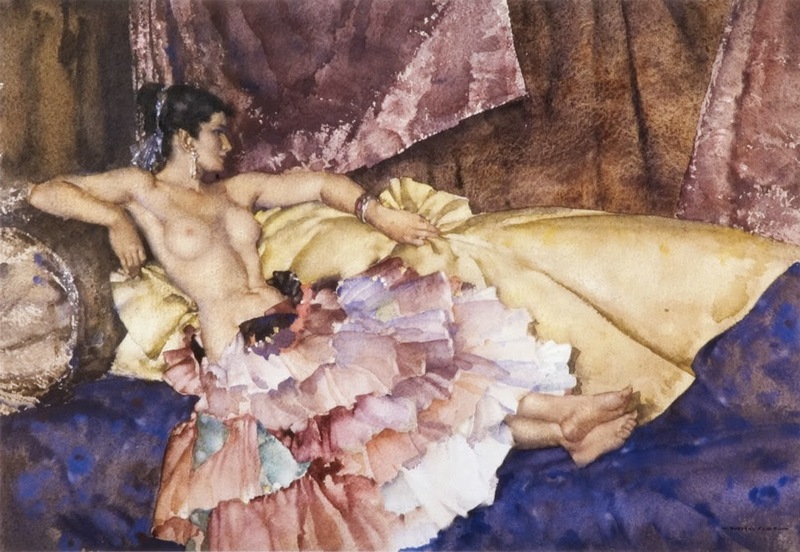 He also worked in oils, tempera and printmaking. 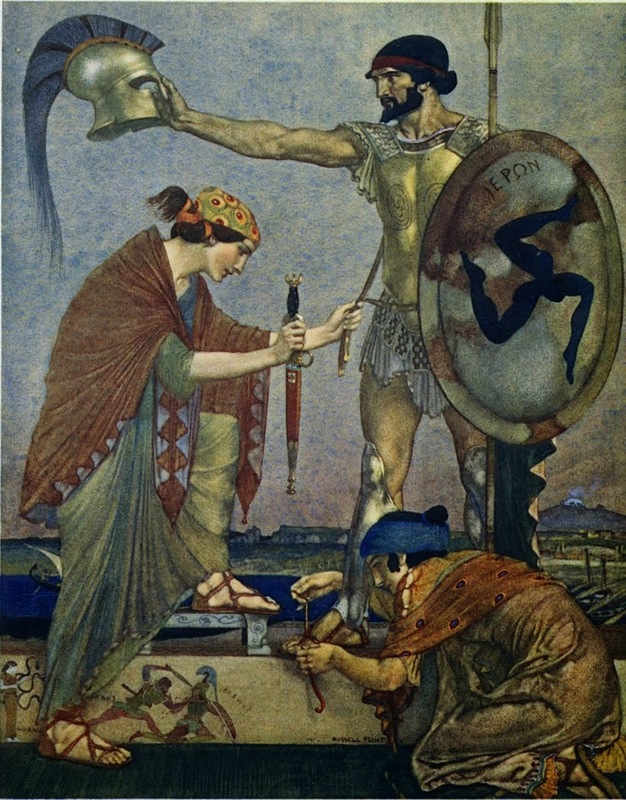 He was born in Edinburgh. 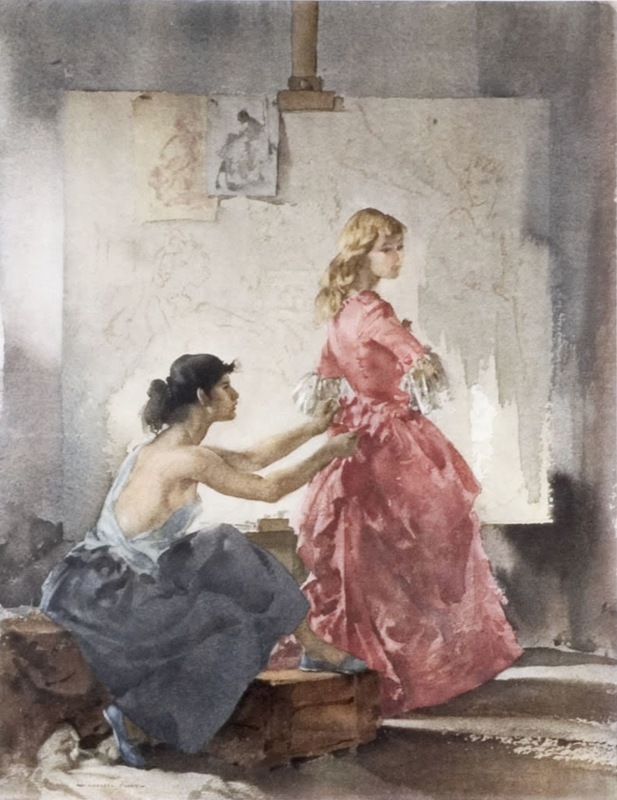 From 1894-1900 Flint apprenticed as a lithographic draughtsman while taking classes at the Royal Academy of Art, Edinburgh. 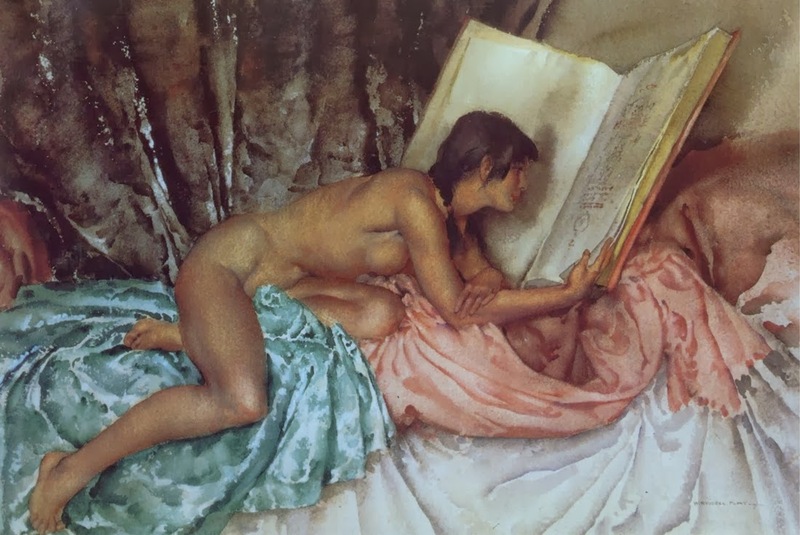 From 1900-1902 he worked as a medical illustrator in London while studying part-time at Heatherley's Art School. 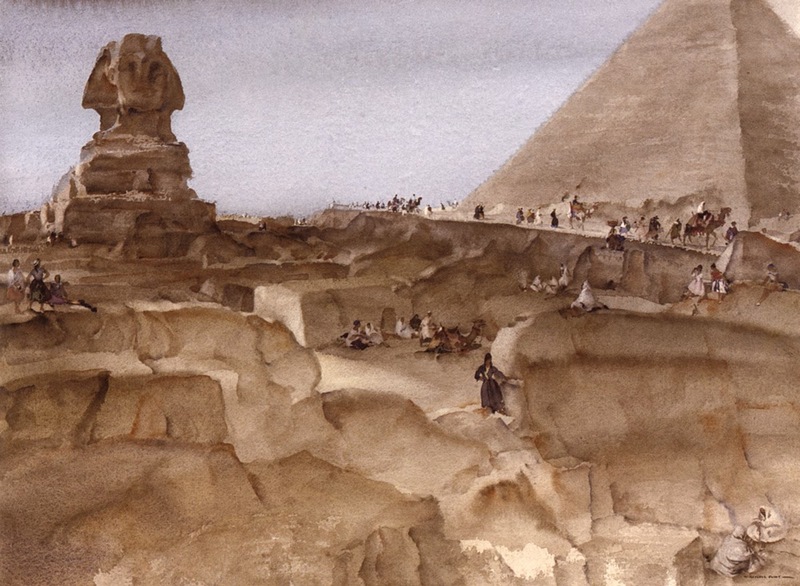 He furthered his art education by studying independently at the British Museum. 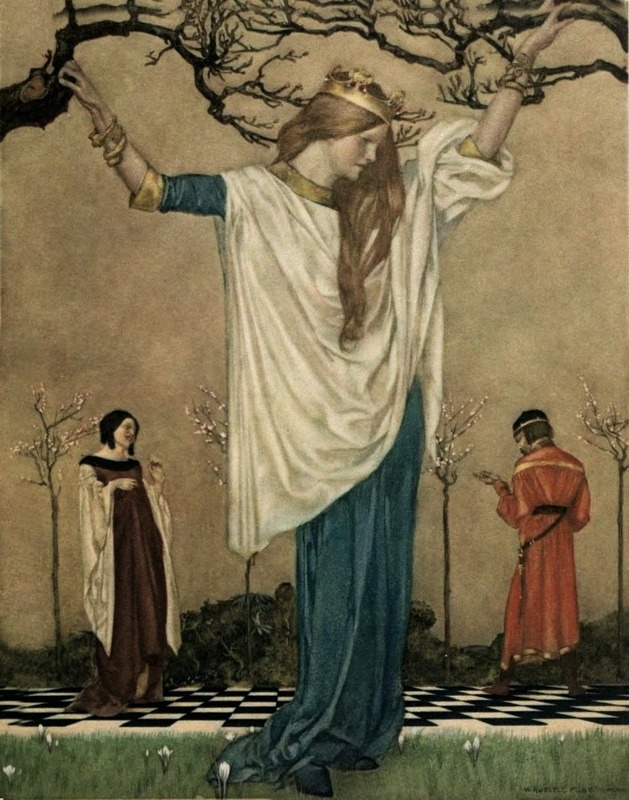 He was an artist for the Illustrated London News from 1903-1907, and produced illustrations for editions of several books, including Chaucer's The Canterbury Tales, 1912. 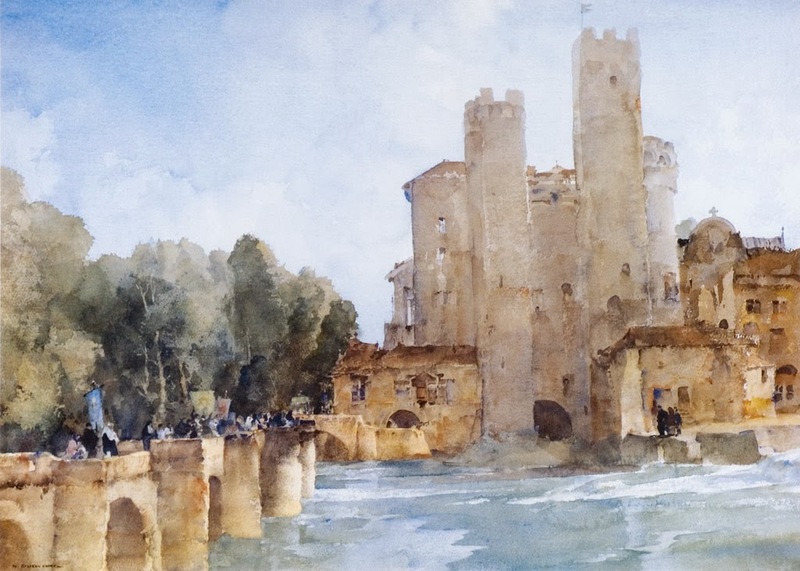 Flint was president of Britain’s Royal Society of Painters in Watercolours (now the Royal Watercolour Society) from 1936-1956, and knighted in 1947. 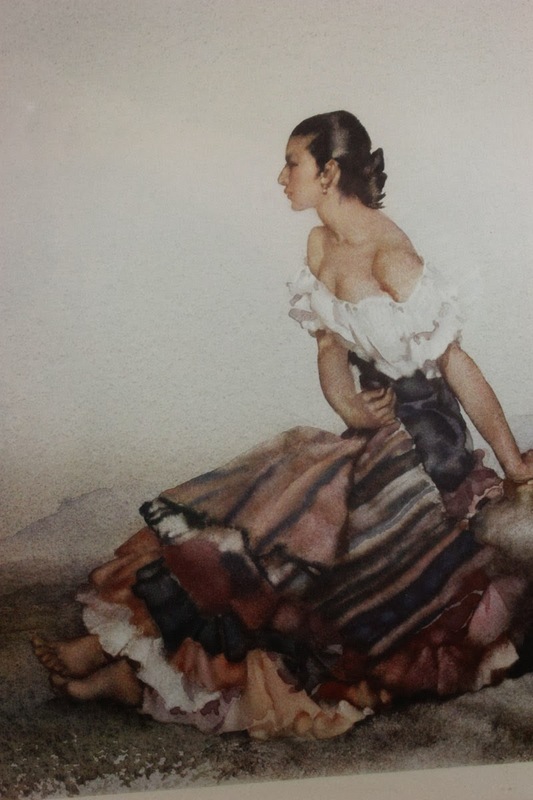 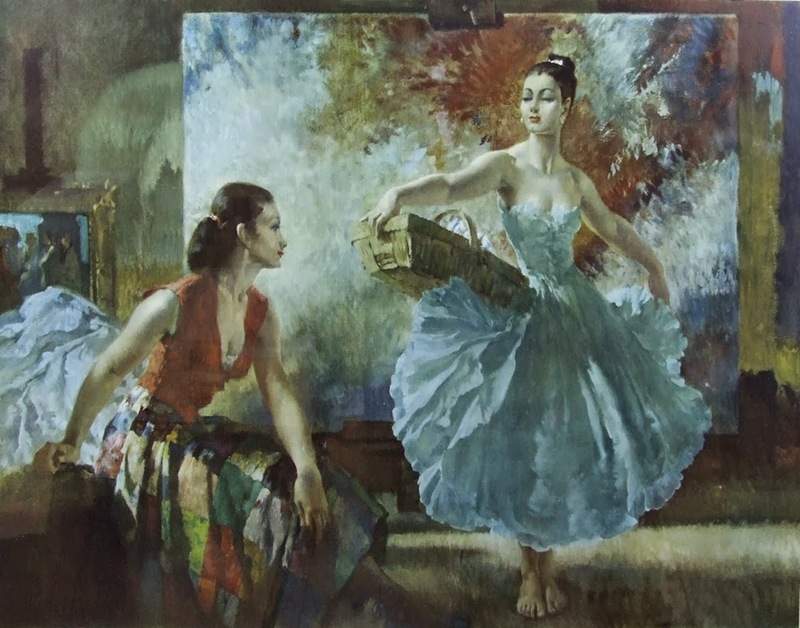 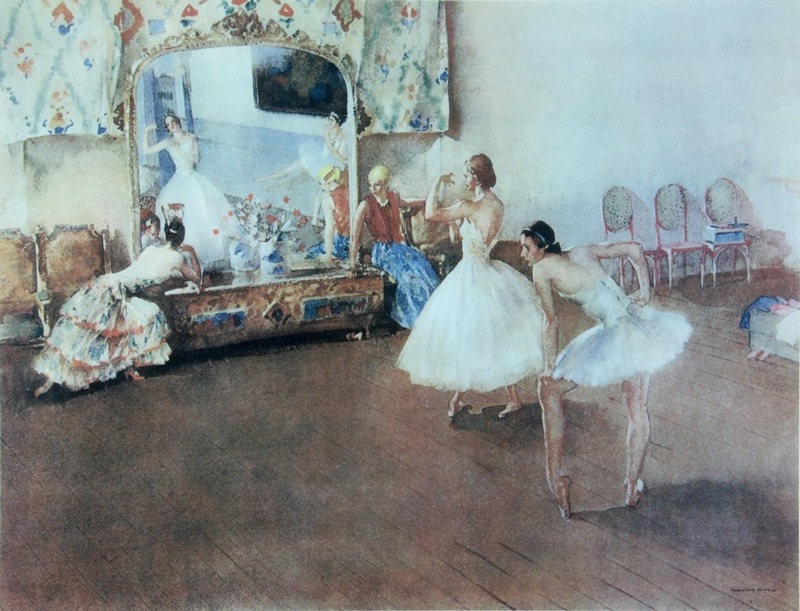 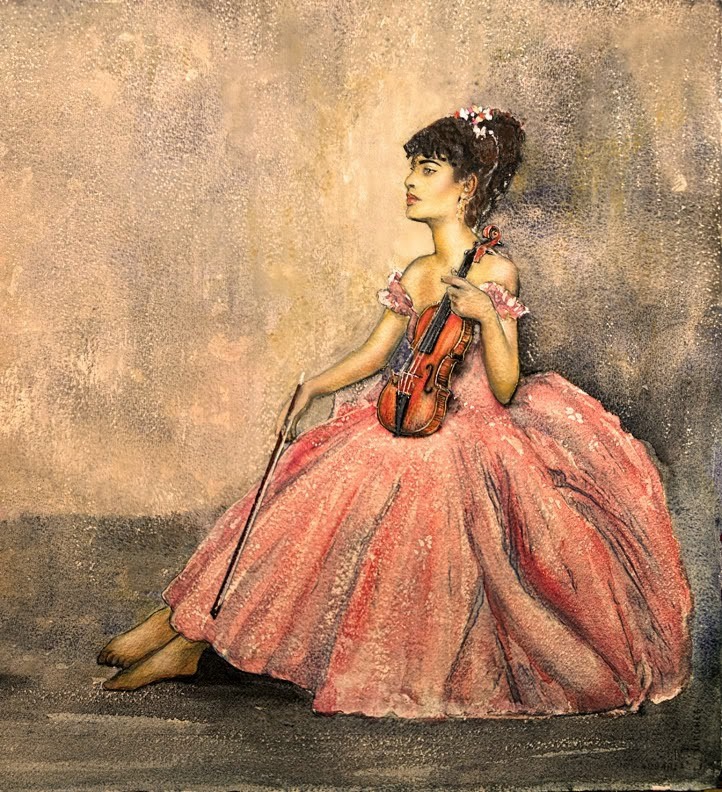 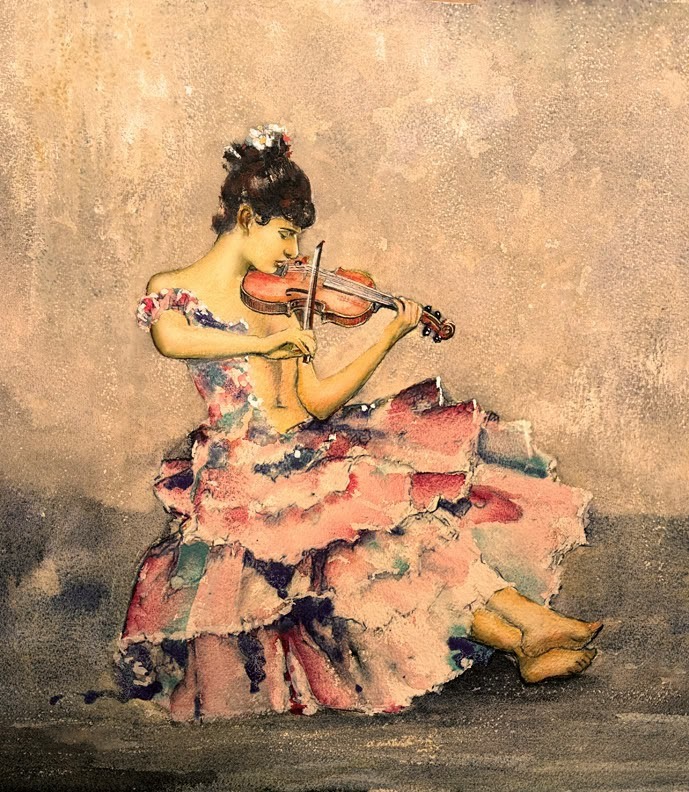 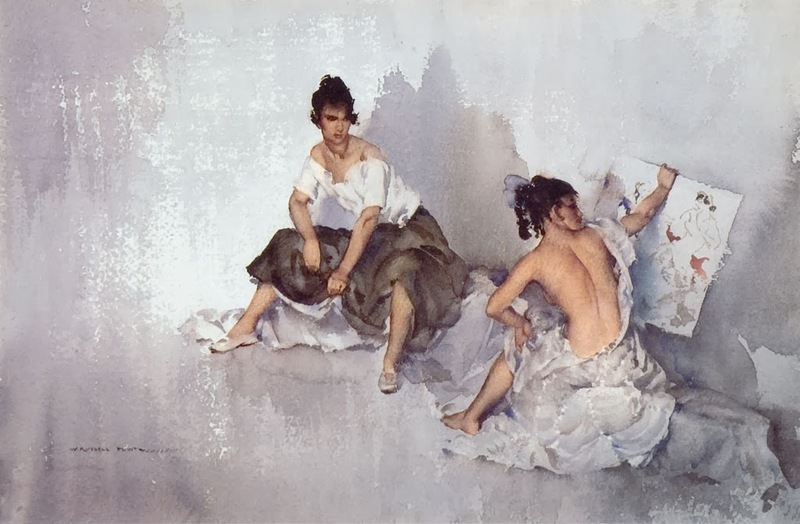 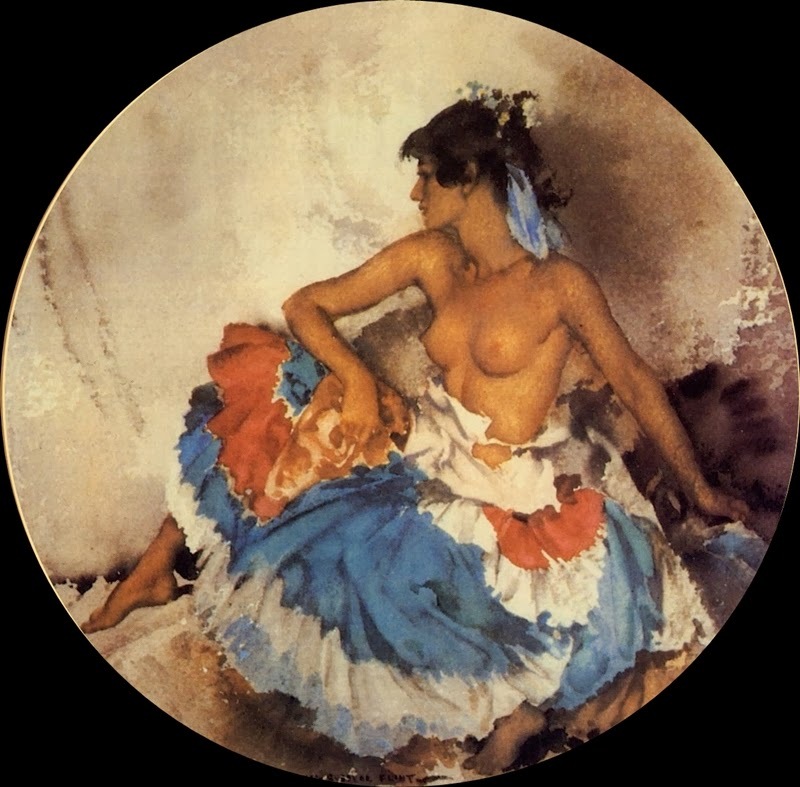 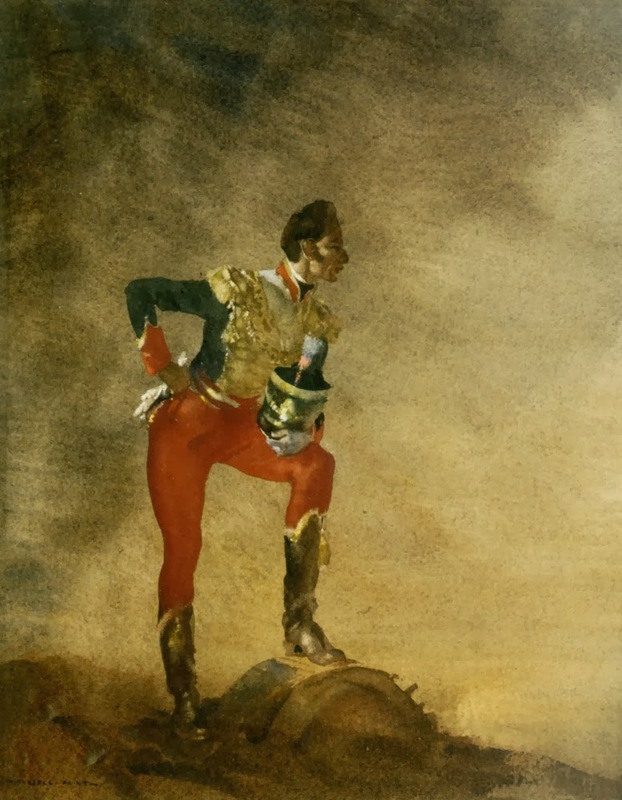 During visits to Spain he was impressed by Spanish dancers, and he depicted them frequently throughout his career. 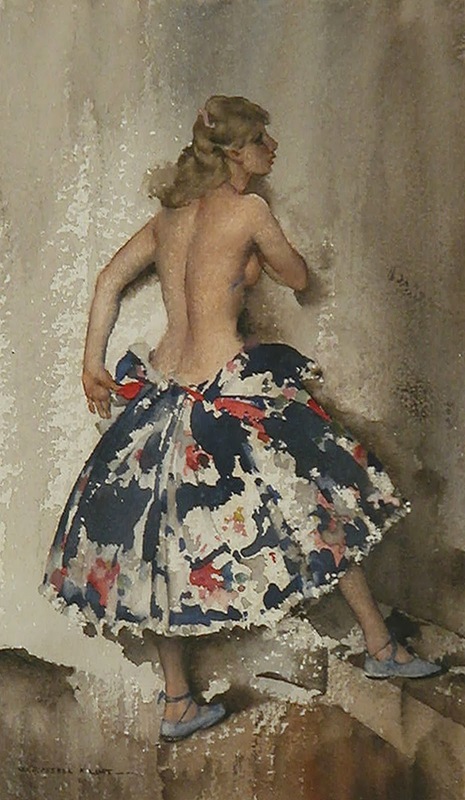 Flint enjoyed considerable commercial success but little respect from art critics, who were disturbed by a perceived crassness in his eroticized treatment of the female figure. 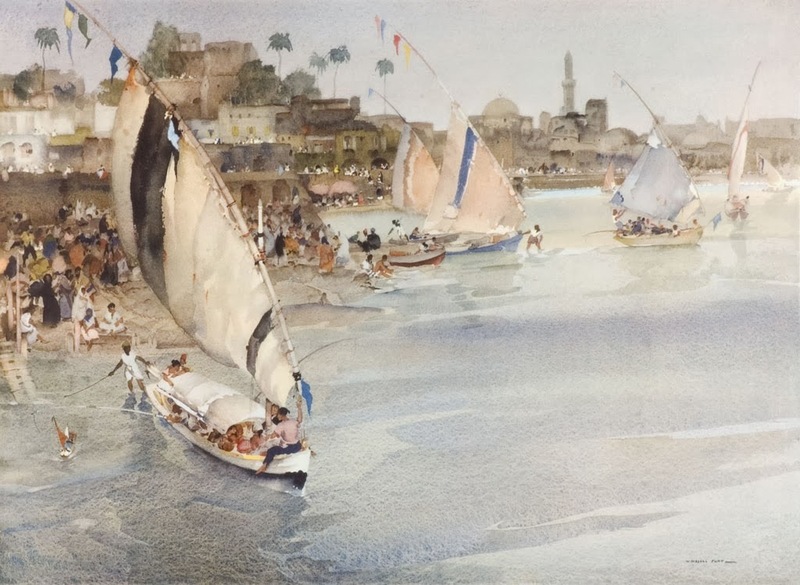 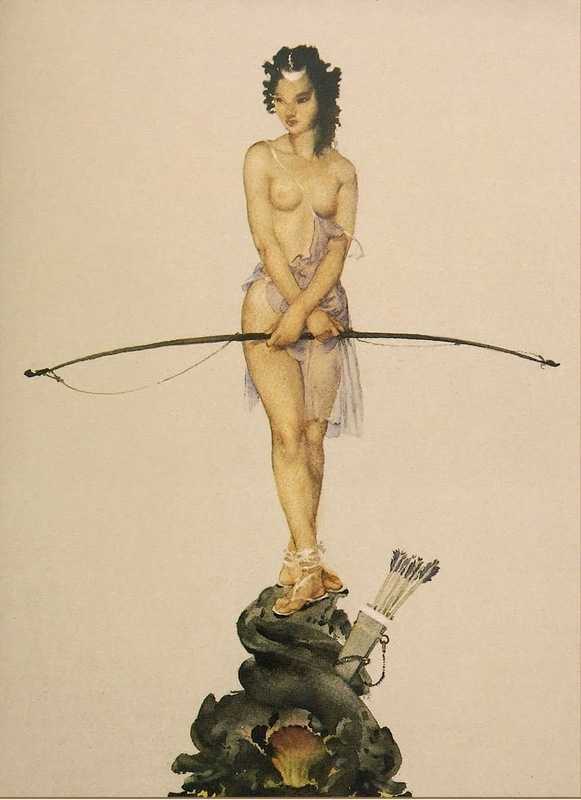 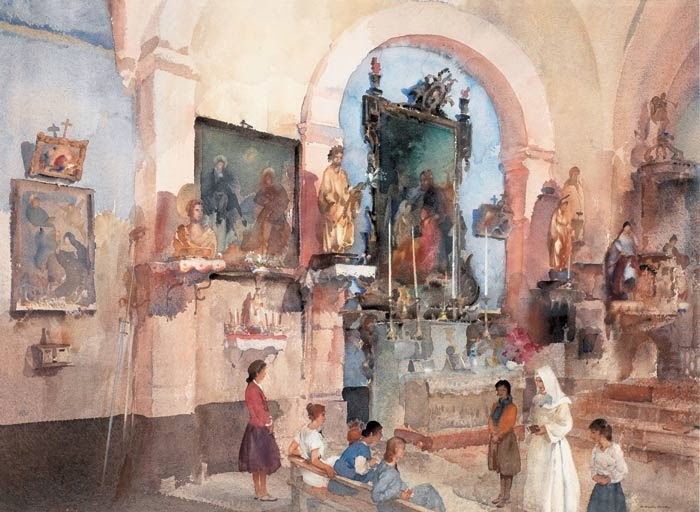 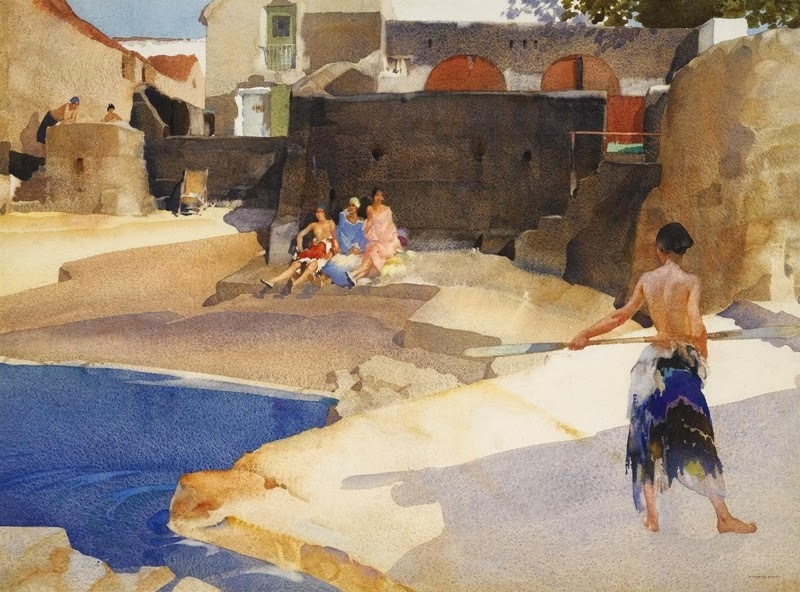 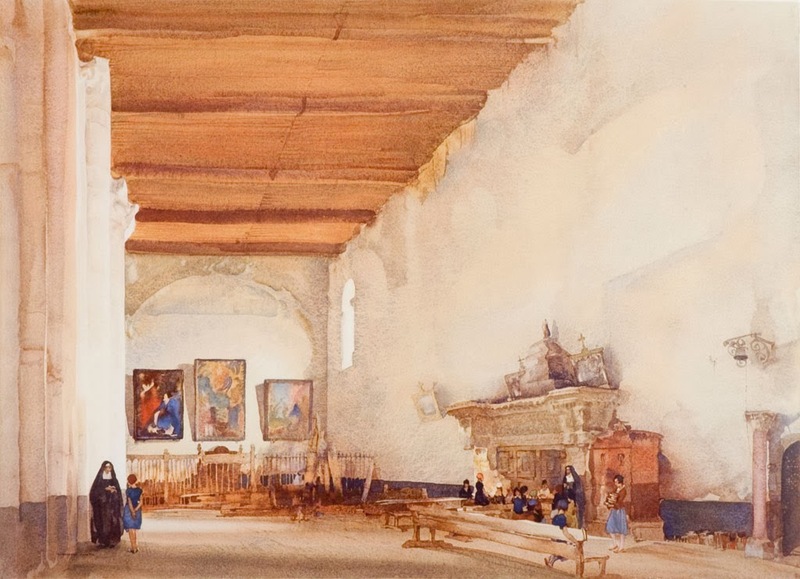 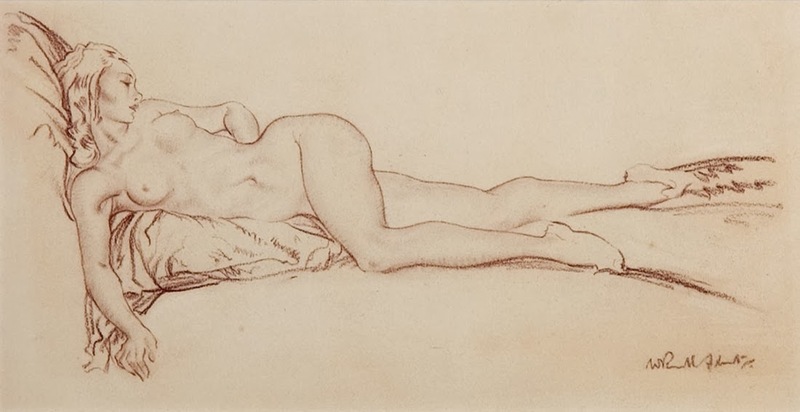 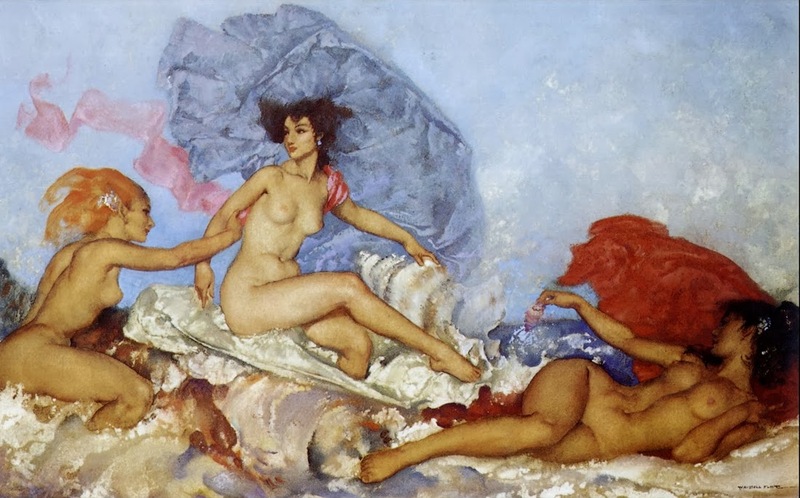 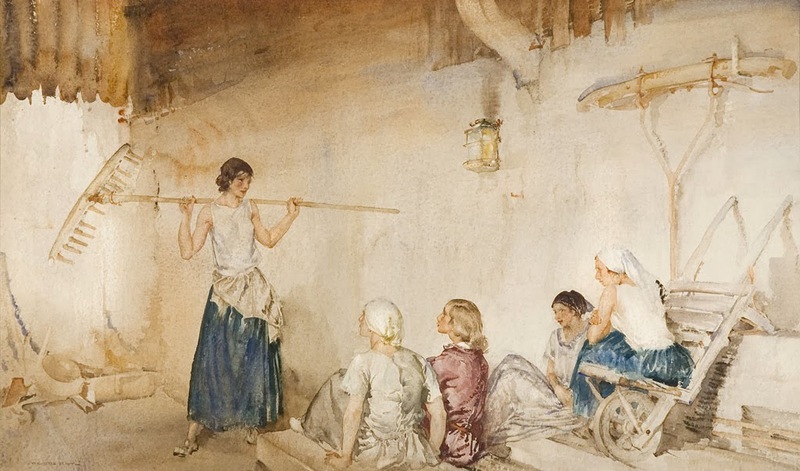 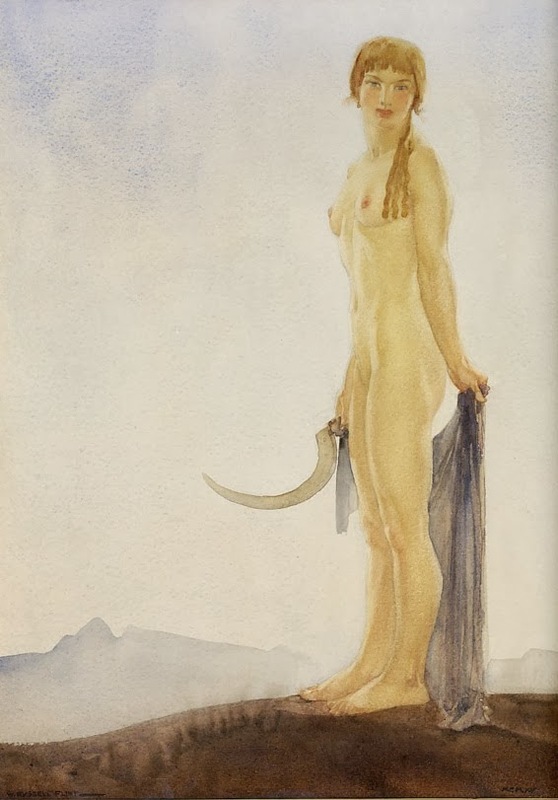 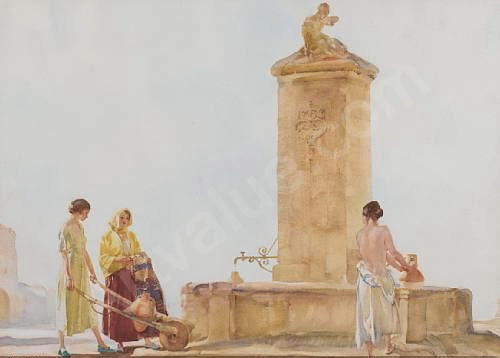 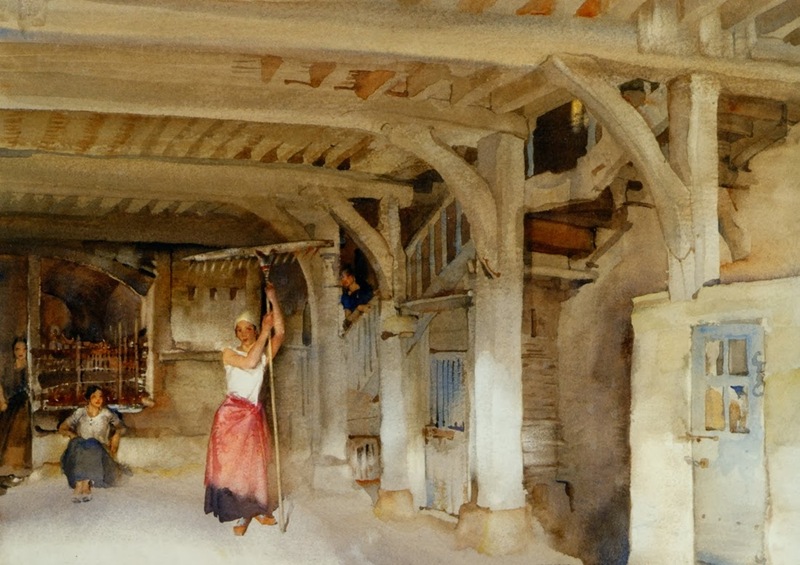 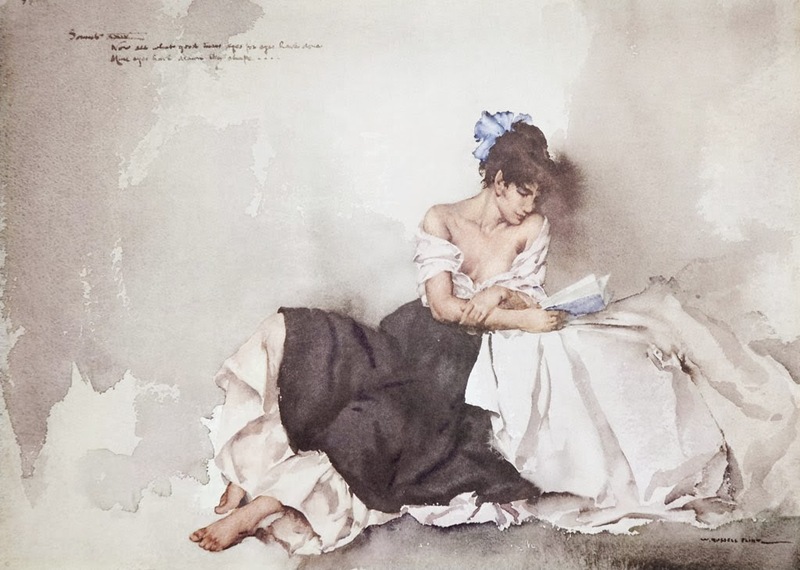 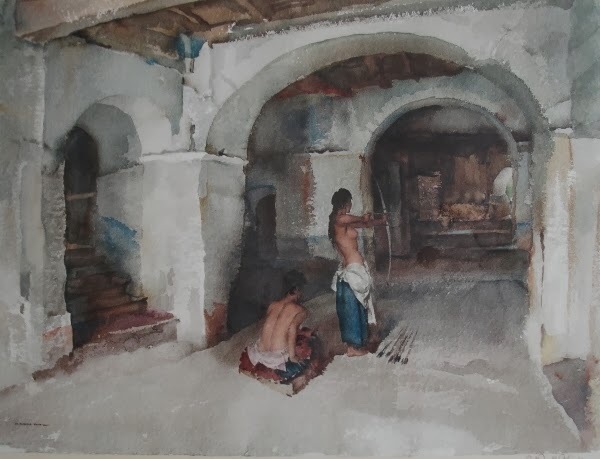 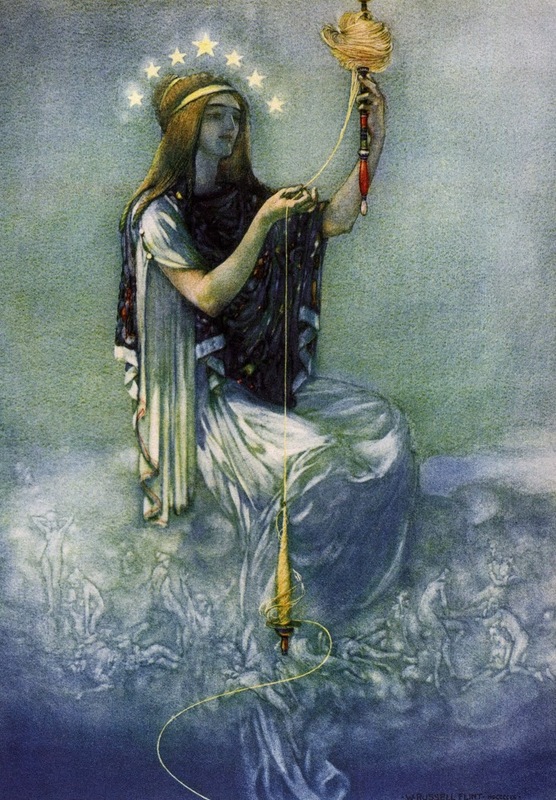 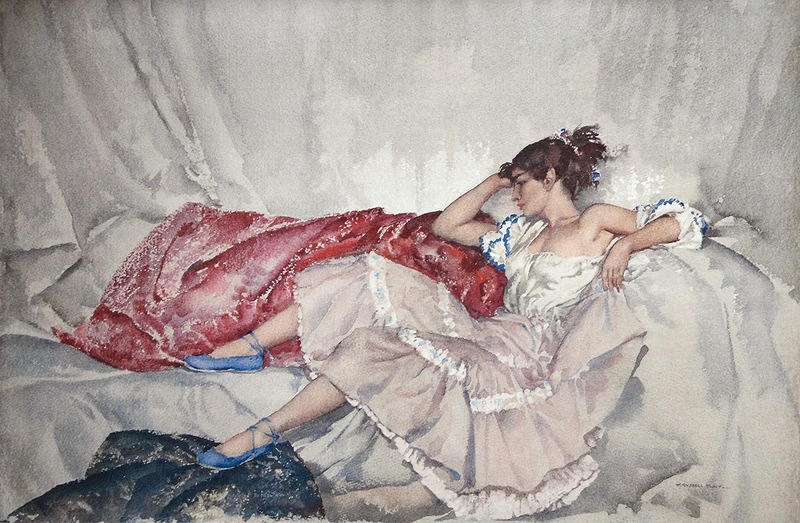 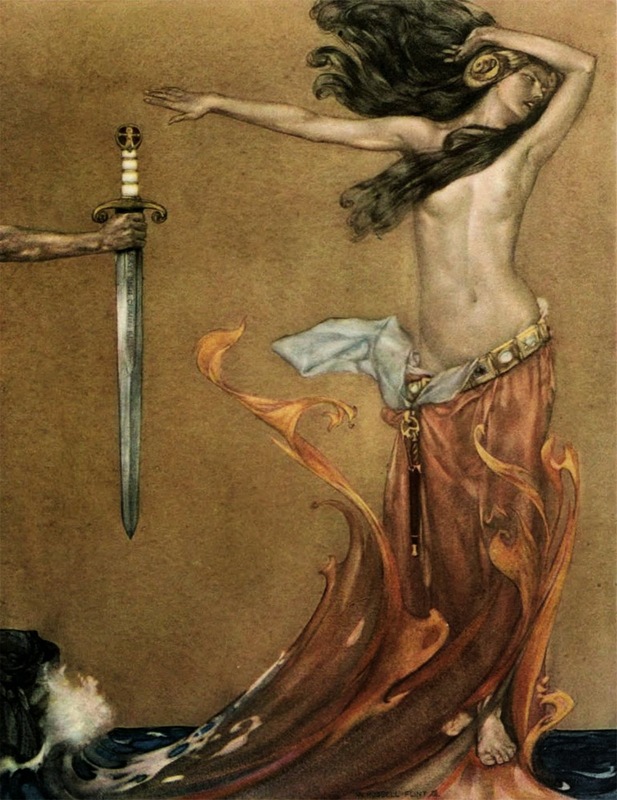 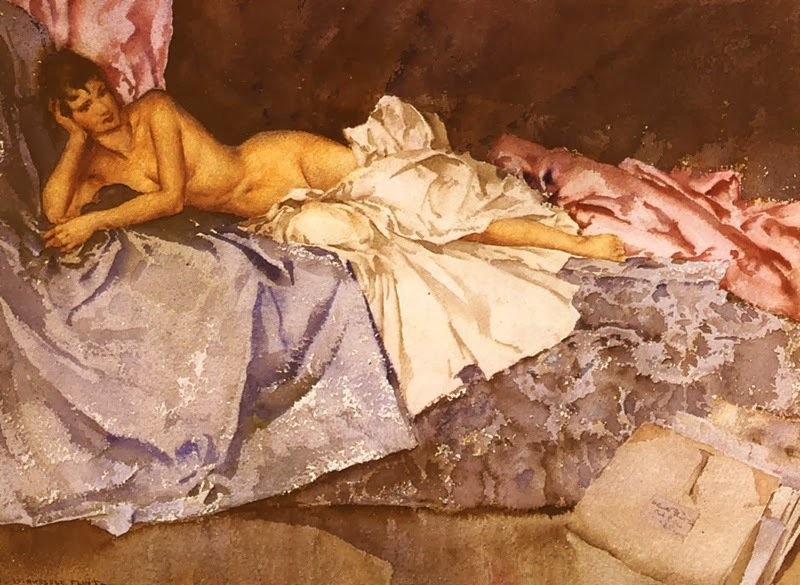 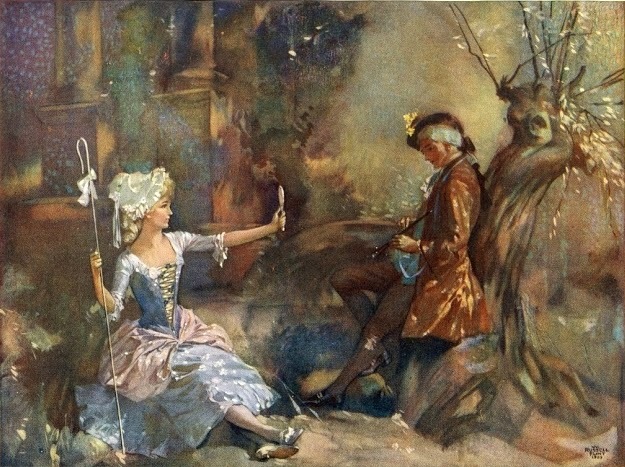 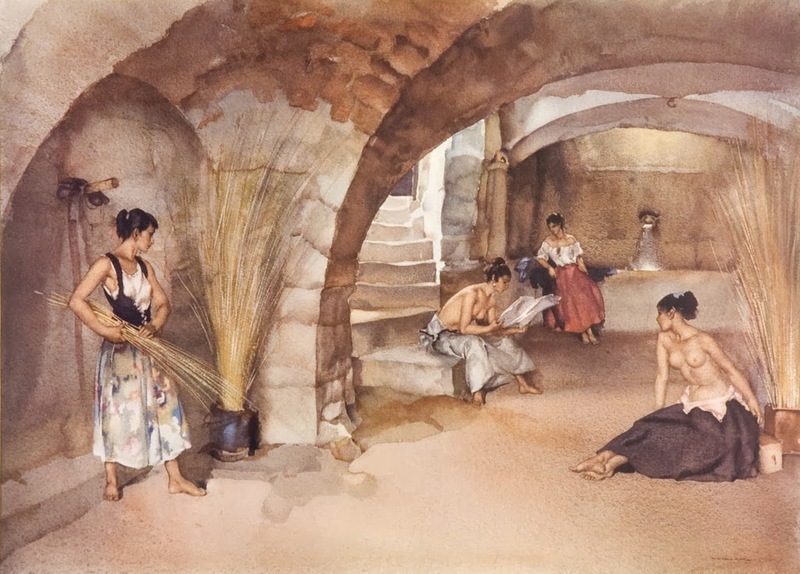 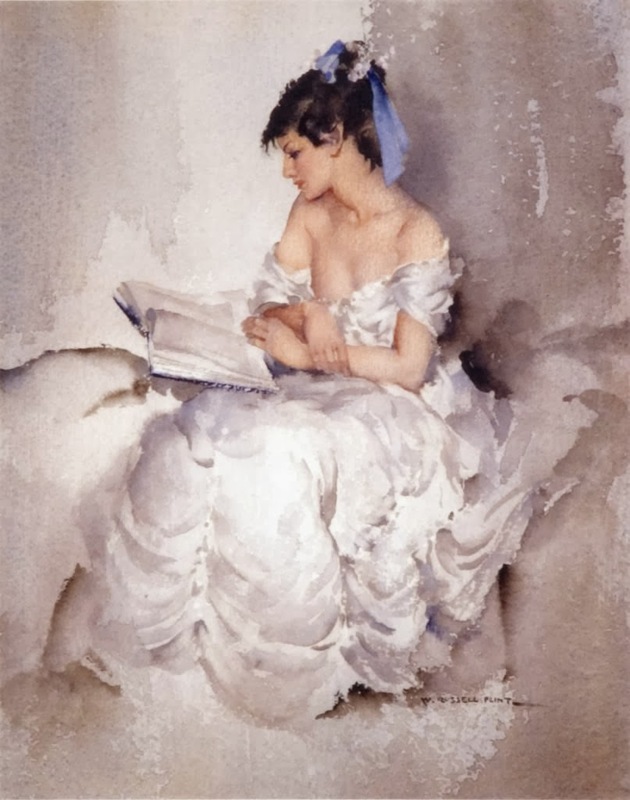 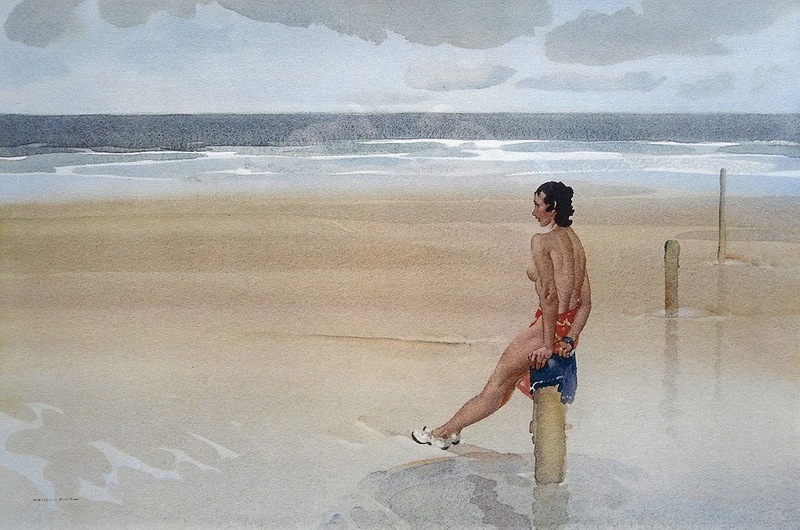 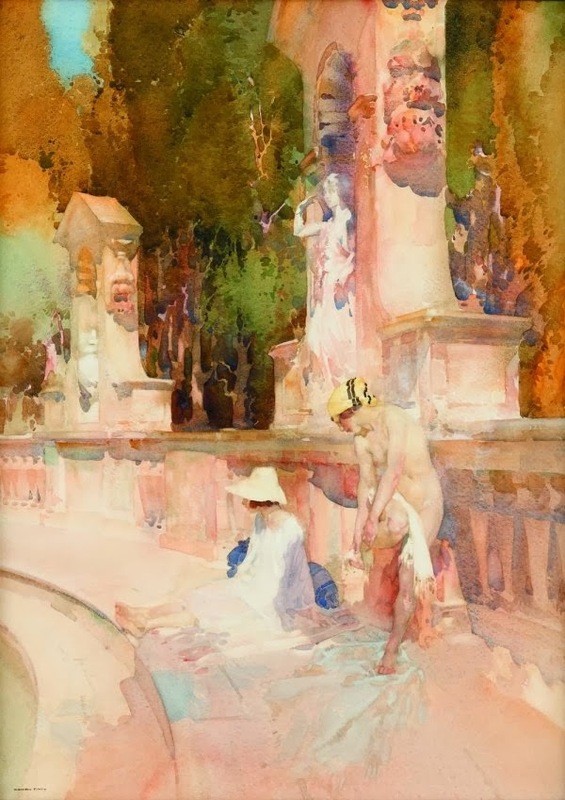 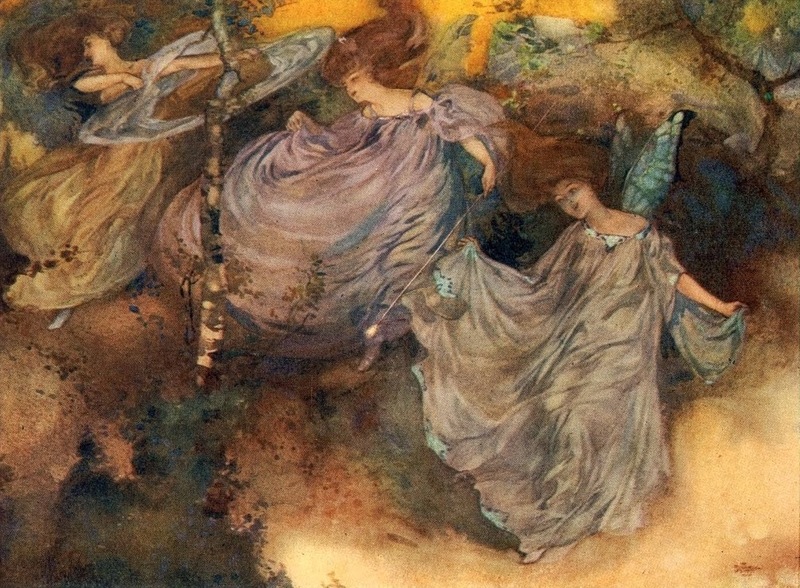 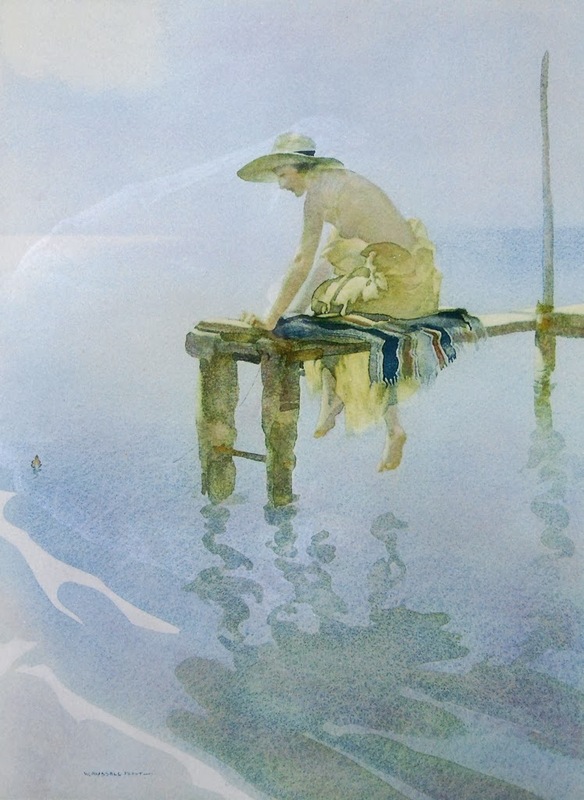 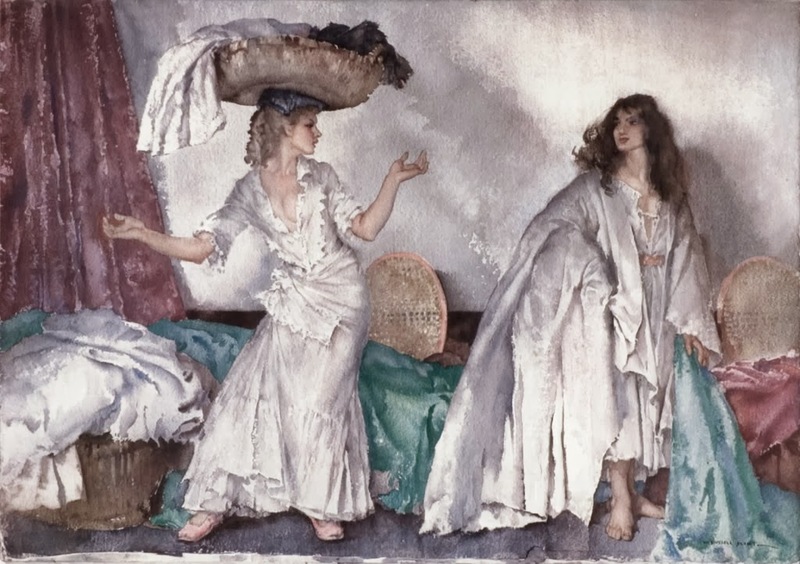 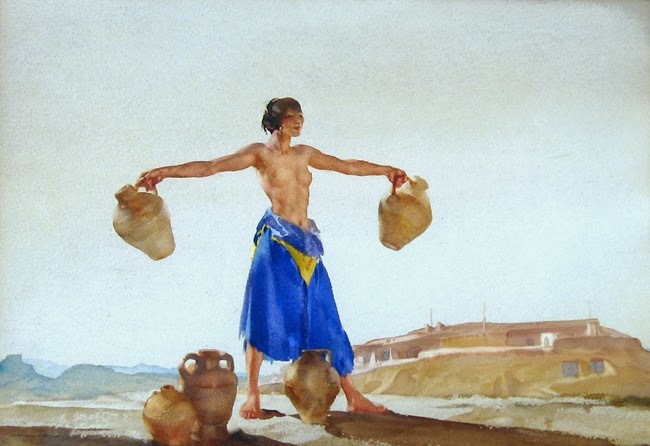 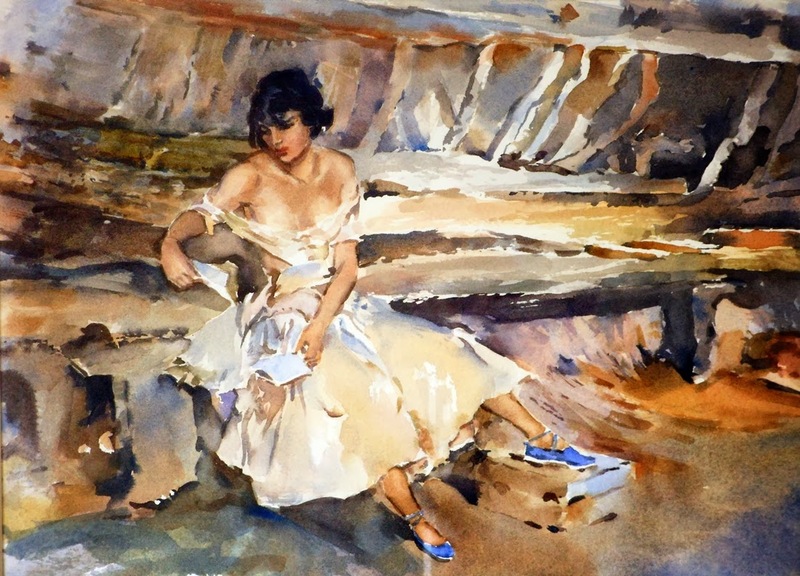 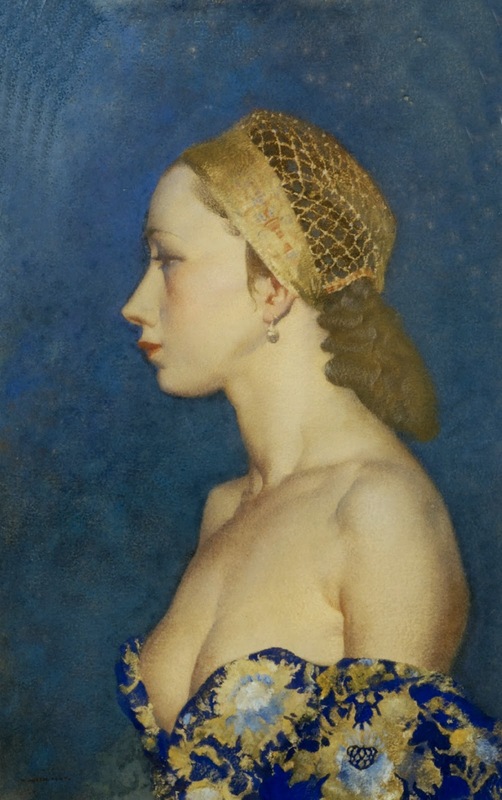 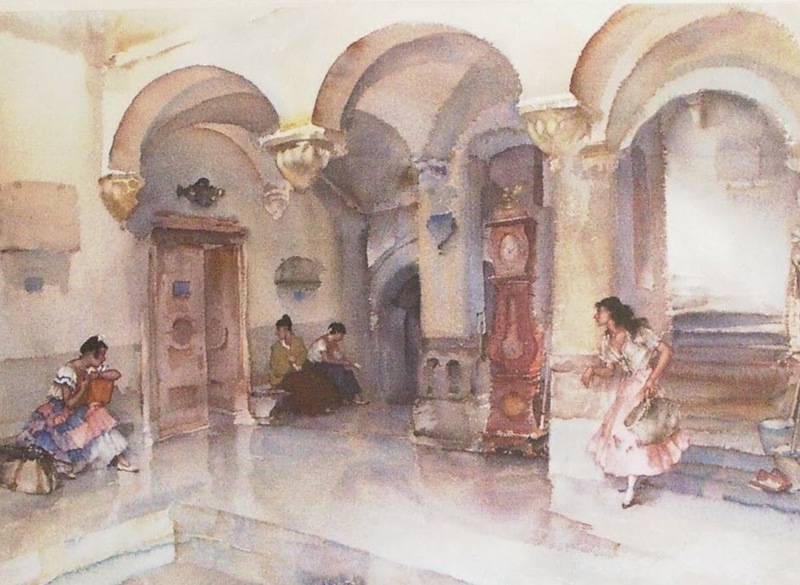 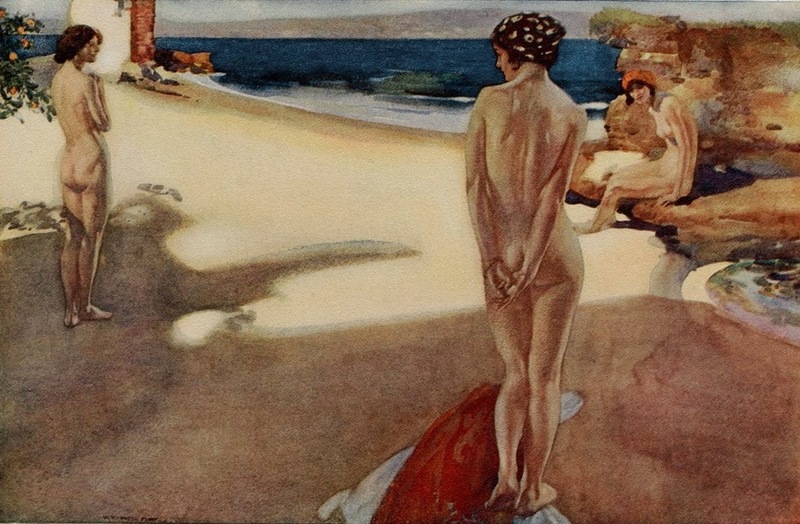 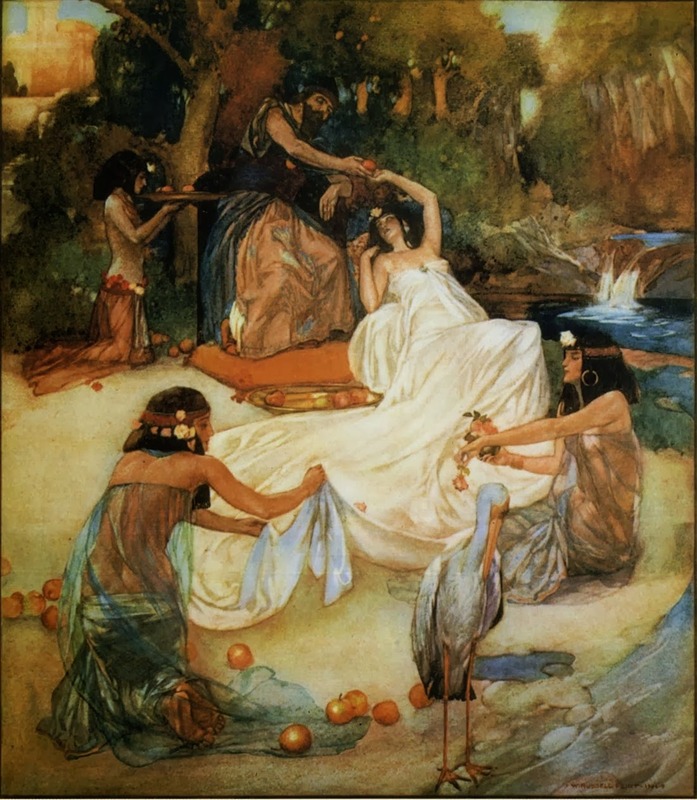 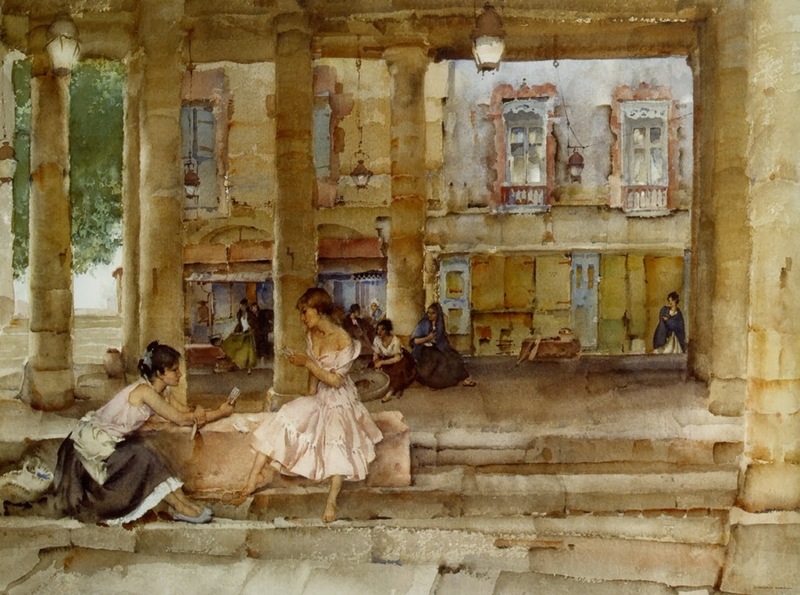 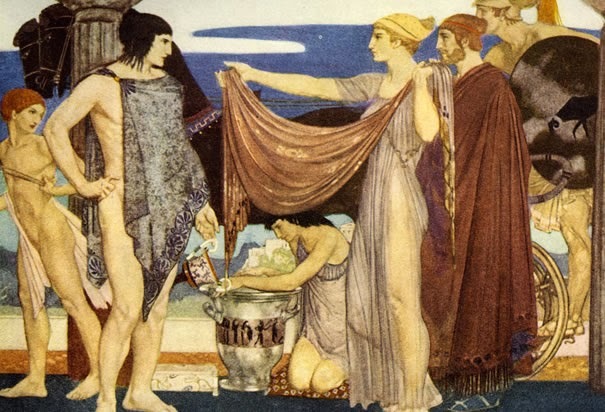 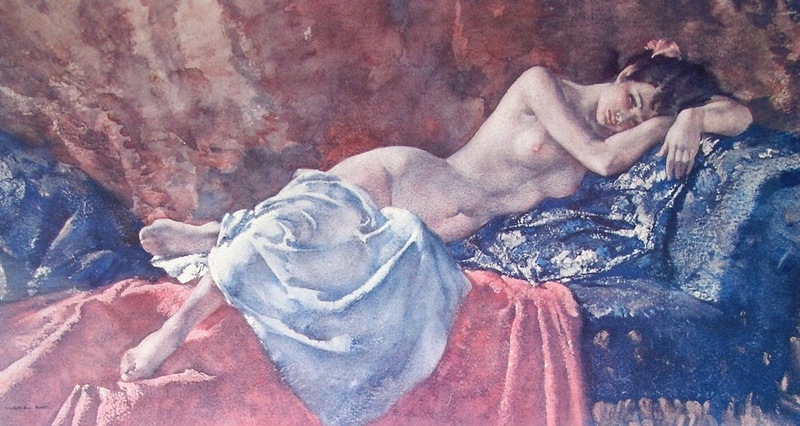 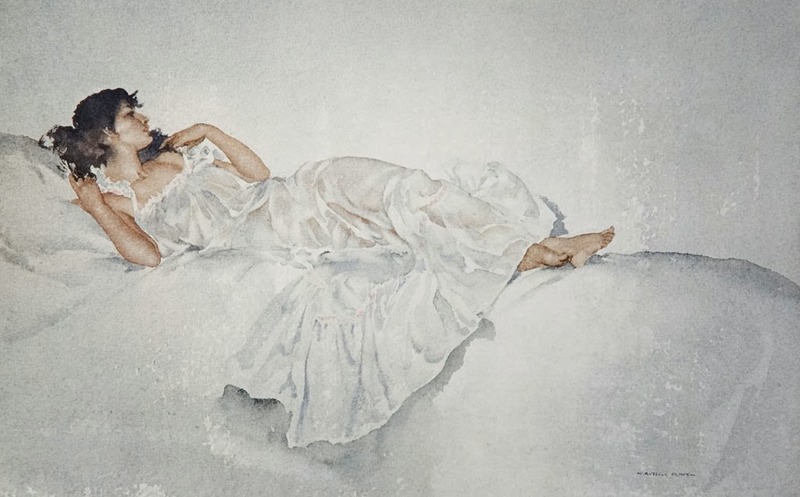 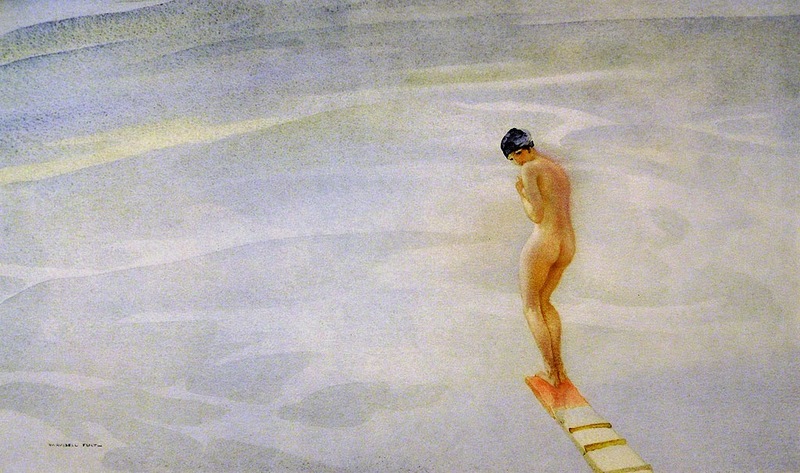 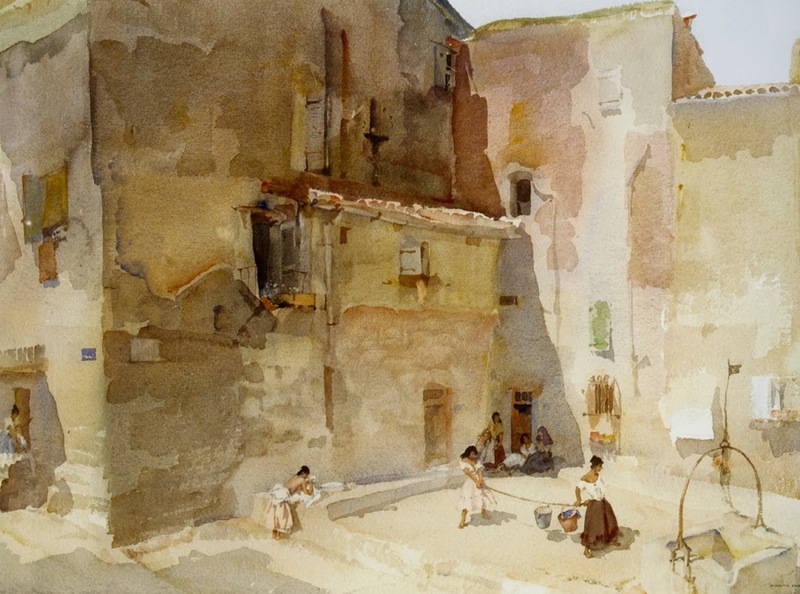 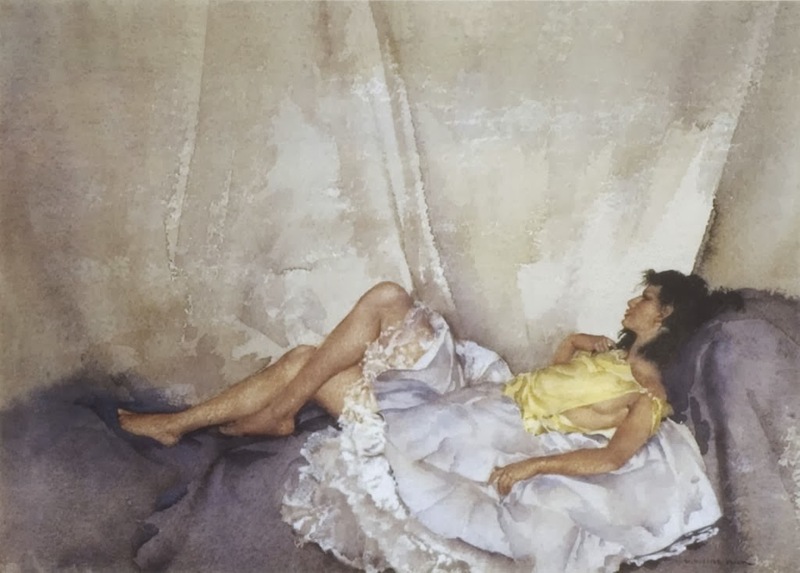 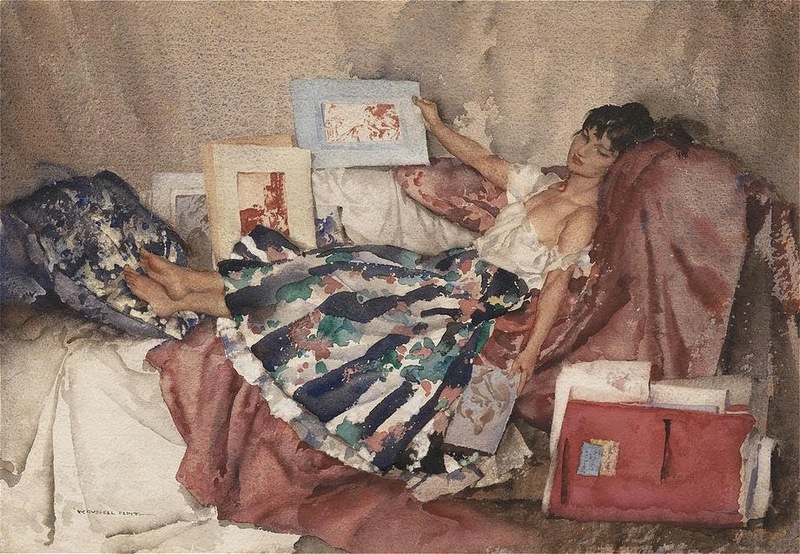 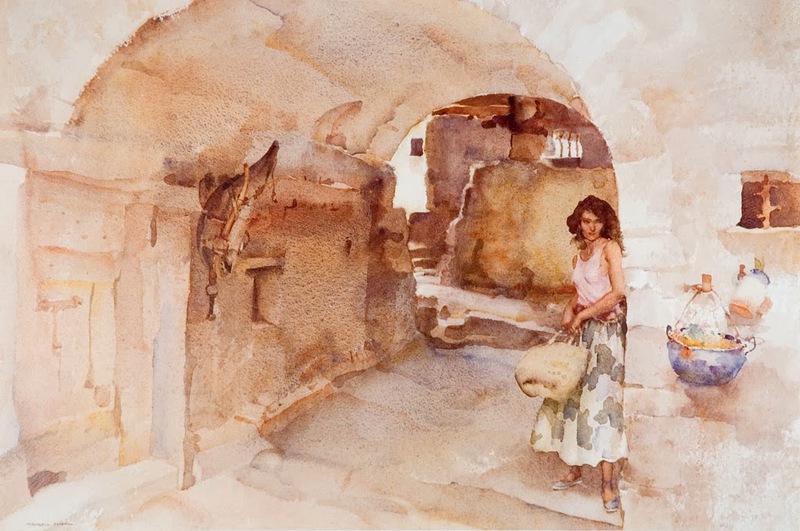 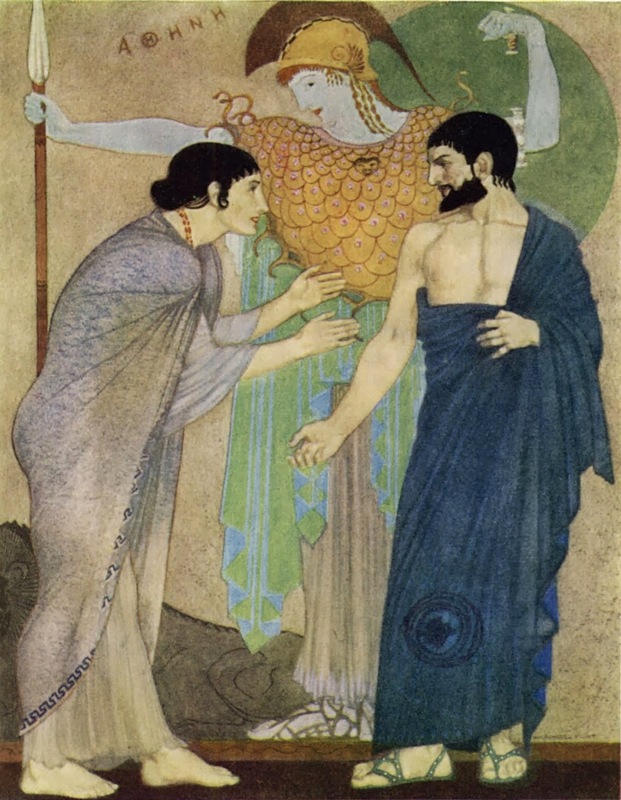 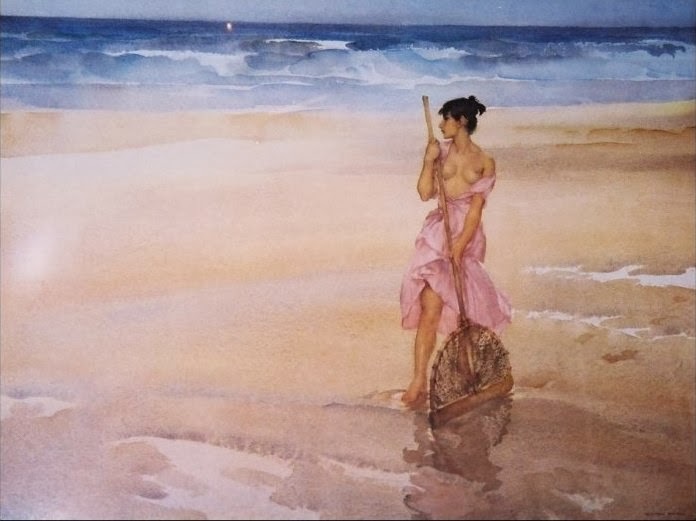 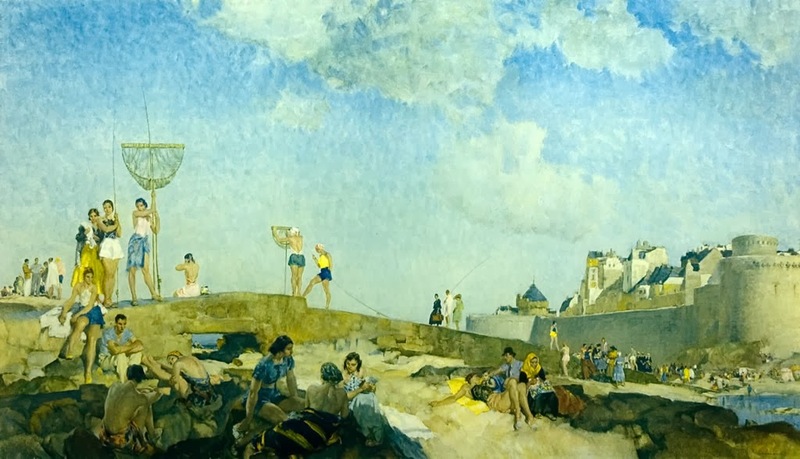 William Russell Flint was active as an artist until his death in London on 30 December 1969.